It enables to create easily formatted statistical tables in 'Microsoft Word' documents in pretty formats according to 'clinical standards'. It can be used also outside the scope of clinical trials, for any statistical reporting in 'Word'. Descriptive tables for quantitative statistics (mean, median, max etc..) and/or qualitative statistics (frequencies and percentages) are available and formatted tables of Least Square Means of Linear Models, Linear Mixed Models and Generalized Linear Mixed Models coming from emmeans() function are also available. The package works with 'officer' and 'flextable' packages to export the outputs into 'Microsoft Word' documents. The aim of ClinReport is to give to R users the possibility to create nice statistical reporting outputs (tables and graphics) in ‘Microsoft Word’. It's now possible to export a ggplot corresponding to a desc object. 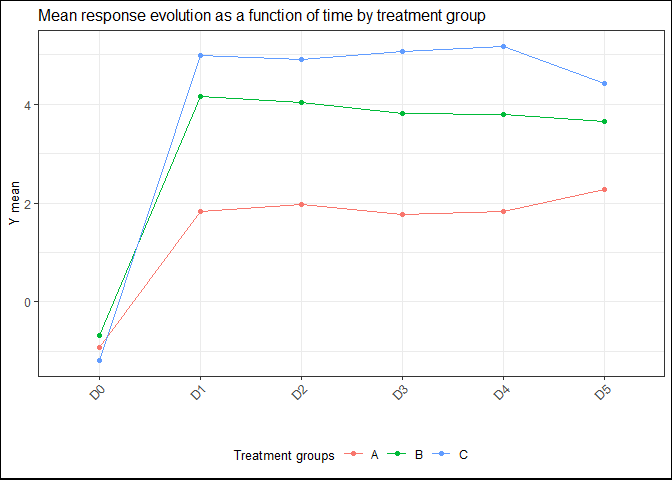 It can be a quali, quanti or lsmeans desc object so the corresponding graphics are barplot or lineplot with or without confidence intervals (see examples in report.doc function).